The Library at Petroc will be hosting its first ever author visit next month in conjunction with Barnstaple library. Jem Lester featured on Simon Mayo’s Drive time Book Club when his novel, Schtum was published in hardback last year. 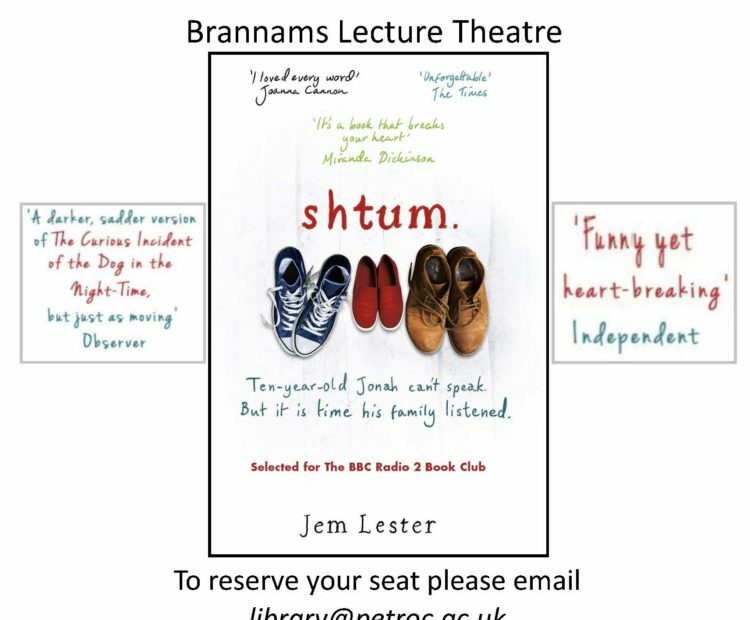 Jem will be talking about his book, coming out in paperback this month, at the Brannams Campus, Barnstaple and at Barnstaple library on Thursday, February 23. Schtum described by the Observer as “A darker, sadder version of The Curious Incident of the Dog in the Night-Time, but just as moving”, follows a family struggling to cope with a severely autistic, mute, 11-year-old boy and draws upon the writer’s own experience with his son.